I70 Motorsports Park sits pretty in Odessa, Missouri near Kansas City. Before that, the former race track sat dormant. For years, activity lacked at the race track. Trees began to crack through the racing surface. The forest was deeply invested in reclaiming the property. Kansas City businessman Chris Payne stepped in to save the race track. His team has plans to cover the track in dirt. They want to fix up the facilities and make the 1/2 mile track look better than ever. Fans rejoiced across the country as the initial announcement went viral on this very channel among others. The grand re-opening was originally set for May 18. However, it has was pushed back until June as they ran into issues with the county. On Thursday, they met with the Lafayette County Planning Commission for the third time since the announcement. Now, it’s been put on pause again and the track owner doesn’t see anything happening in 2019. 500 die-hard race fans made an appearance at the courthouse on Thursday. The county appears to have a full list of concerns regarding the rebuilt race track. They want sound barriers, fencing surrounding the property and lighting. The county attorney is set to complete a list on conditions regarding construction at the track. It will then be voted on at the Lafayette County Courthouse on April 17th at 7pm. “This is a big hurdle we get through the process and get our special use permit for the property that allows us racing to continue,” Payne told FOX4 KC. “Last night it became apparent Lafayette County Administration is trying very hard to kill the reopening of I-70 Speedway as I-70 Motorsports Park,” I-70 Motorsports Park said in a facebook post on last week ahead of a final meeting. The meeting mentioned above has since taken place. No decision was met. The next meeting has been rescheduled for April 17th, 2019. “A HUGE THANK YOU to everyone who came out last night and supported the reopening of I-70 Motorsports Park. Another BIG THANK YOU to the Berry family for use of their awesome facility, Berry Acres,” read the facebook update this on Friday. 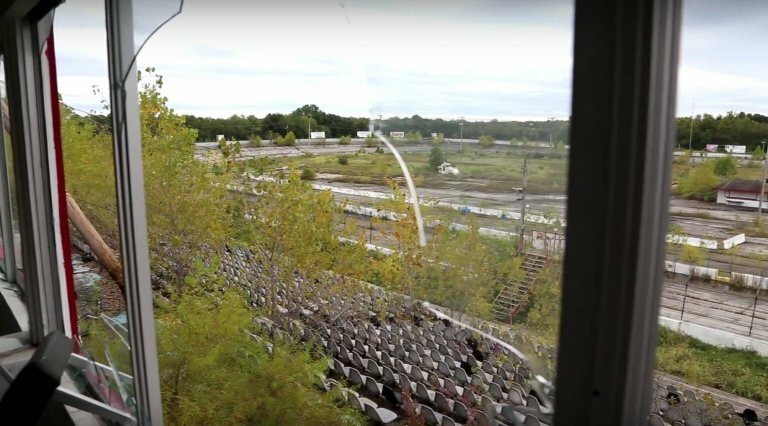 You can see a video of I-70 Speedway in it’s dormant state below.